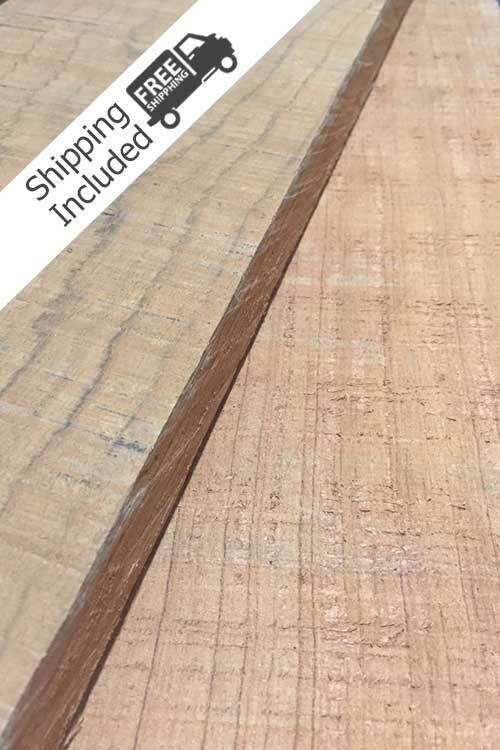 Bubinga Lumber Pack | 10bf | 25bf – You can specify widths & lengths in the order notes. Please use our board foot calculator to see what sizes fits within your request. Bubinga lumber has heartwood ranges from a pinkish red to a darker reddish brown with darker purple or black streaks. Sapwood is a pale straw color and is clearly demarcated from the heartwood. The principal use of Bubinga Lumber is inlays, fine furniture, cabinetry, turnings, and other specialty items. If your interest in more of the details on how lumber is graded you read all about it in NHLA Rules Book. Availability: Our current stock contains boards up to 12 feet in length in widths 6 iunches to 12 inches wide. Lengths are anywhere from 6 feet to 16 feet although for shipping UPS requires all boards to be 8′ or less.